Here’s our round-up of the best World Cup betting apps. Some apps specialise in football more than others and in this review we’ve narrowed it down to those apps that have the edge. So, whatever country you support in this year’s tournament, check out these World Cup betting apps and you might be able to pick up some free bet bonuses to boot. These apps are not listed in any particular order. It’s been around for years and Betfair is well positioned for another great tournament with some of the most innovative specials going. It’s mobile site app is good for picking up £50 in free bets if you’re a new customer. Of course, there’s also the p2p betting angle. Certainly one of the simplest to use of the World Cup betting apps in this bunch. Winner is a newcomer to the World Cup betting apps list and that’s great news. Why? Because it’s very likely that you’ll pick up the free bet bonus on signing up as a new account holder. 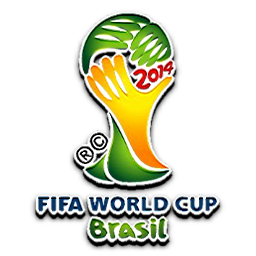 This mobile app has a clean interface that’s easy to navigate to the many ‘World Cup 2014’ menu options available under ‘Football’. Obviously. Our full app review tells you more. I love this app and it’s got everything that a great World Cup betting app should have. There are Brazil 2014 promotions galore and these flash across the top of the app’s screen regularly. Plenty of In-Play options too if you like that sort of thing. There’s more in our full review, but to grab the free bet hit the button below. Paddy Power likes to have a bit of a comedy image but they’re serious about sticking their neck out for new customers. Some of their money back specials and early payouts have backfired in the past – but that’s great for punters! You’ll find their promotions at the base of the screen by scrolling down and tapping on the megaphone icon. Tap on the big green button to go and claim the free bet offer or read more for the fine detail on the Paddy Power mobile app. This entry was posted in Betting Apps, FIFA World Cup Betting Apps, Football Betting and tagged England Football Betting 2014 on 20th May 2014 by Betmeister.